The primary dystonias are movement disorders characterized by involuntary muscle contractions that produce abnormal postures of different parts of the body. Named for the body part affected, the common adult onset focal dystonias are blepharospasm, cervical dystonia, spasmodic dysphonia, and focal hand dystonia. Their pathophysiology and even underlying anatomy remain largely unknown. Neuroimaging does not presently have a clinical role except to rule out secondary dystonias, in which dystonia is a result of defined central nervous system lesions. However, neuroimaging plays a role in trying to define where pathology might be, although till date, the findings have not been robust. 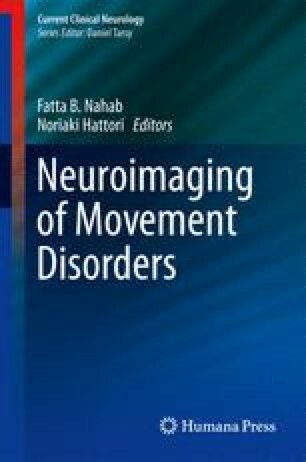 In this chapter, we review studies using different imaging modalities, aiming to understand the structural and functional deficits the patients might have. Gray matter studies, based on T1-weighted magnetic resonance imaging (MRI) images and morphometric techniques, suggest the presence of structural changes in basal ganglia and sensorimotor cortices of dystonia patients. White matter integrity, measured with diffusion tensor imaging (DTI) and modeled using tractography methods, indicate deficits in different aspects of the cerebellar-thalamo-cortical and basal ganglia-thalamo-cortical pathways. Changes in blood flow, function, and metabolism, measured with positron emission tomography (PET) and functional magnetic resonance imaging (fMRI) also support widespread deficits within the basal ganglia and beyond. Involvement of the cerebral cortex, in particular sensorimotor, supplementary motor area, and parietal association areas, are consistent in all the primary dystonias. The cerebellum is also affected in all the dystonias discussed here.